Baby Barbie just got home from school, changed her clothes and had dinner. Doing homework is next, but the little girl can’t be bothered. Homework slacking is more fun and way better. The only problem is that mom is constantly checking on her daughter as she knows baby Barbie is up for mischief most of the time. Baby Barbie Homework Slacking is on, girls! 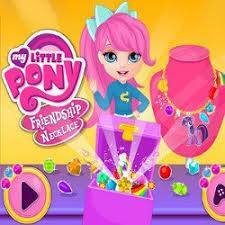 Get fabulous slacking tips from the pretty baby girl which will make your homework time pleasant and entertaining. Talking on the newest iPhone gadget, spending hours on Facebook and sending text messages via WhatsApp are very popular with kids and teenagers nowadays. Baby Barbie is addicted to them, being her favorite homework slacking activities. What else does the cute girl do to avoid doing school chores when her mom is not watching? A snack is always welcome, so how about eating some delicious cupcakes stolen from the kitchen? Great idea! 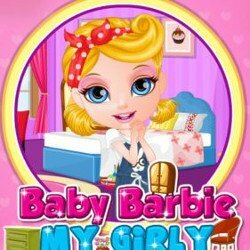 Do baby Barbie’s nails applying pink nail polish color. A brand new make up kit got her attention and she wants to try it on. 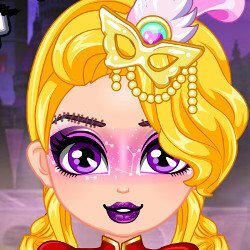 Apply the eye shadow hues on the eyelids and make baby Barbie beautiful. Add one of her mom’s lipsticks and perfumes too to complete the beauty slacking session. 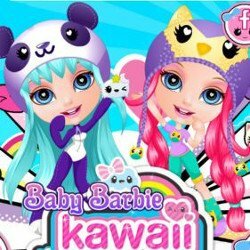 Color an adorable Hello Kitty picture and braid Barbie’s hair in a sassy chic braided hairstyle. Prepare the backpack for the following school day organizing the school supplies inside it. 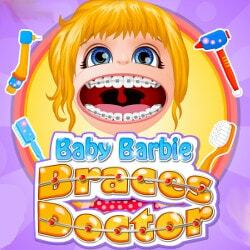 Check out baby Barbie’s toys collection and separate the dolls from the stuffed animals. 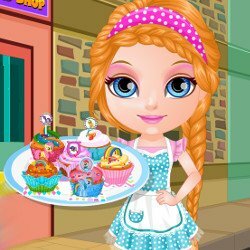 Have a blast playing Baby Barbie Homework Slacking Game!